8 April 2006: Census officials say the US population will reach 300 million in October 2006, and that the 300th million American may well be a Latino living in the Southwest. The U.S. population is increasing at nearly one per cent a year, making the United States the world's fastest growing industrial nation. Sixty per cent of the growth is natural. Forty per cent comes from immigration. Demographer William Frey of the Brookings Institution says immigrants are moving to cities like New York, Miami, Houston, Dallas and Los Angeles. "These are really melting pot cities in the sense that it's not a just a mostly white place with a couple of minority groups," he explained, "but many minority groups are part of this big race and ethnic stew that's going on, so you can't really exist there unless you have an open mind about different backgrounds and different cultures." 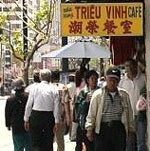 In Los Angeles, there are concentrations of immigrants in Chinatown, Little Tokyo, Koreatown and other ethnic enclaves. A shopkeeper from China has Spanish-speaking customers and friends in neighboring shops from other countries. "Down here, the owner is Chinese, and over there, a lot of Koreans, and Mexican people," the shopkeeper said. Throughout the American Southwest, immigrants from Latin America are changing the culture, and they form an important part of the workforce. Hispanics account for half of US population growth. Some critics of immigration worry about strains on the health care system and the schools. 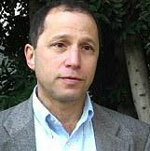 Ira Mehlman is a spokesman for the Federation for American Immigration Reform. He says the children of recent immigrants have problems in public schools, where classes are taught in English. "Half of the school district in Los Angeles is non-English-speaking, which means that you have the nation's second largest educational institution that can't educate an entire generation of kids," he said. Harry Pachon of the Tomas Rivera Policy Institute says there have always been strains when population grows, but the country assimilated earlier waves of immigration. "We rail against the immigrants and we forget that two or three generations ago, our grandparents or our parents were immigrants themselves," he noted. Population growth is a global phenomenon, and others worry about strains on the natural environment. Dan Silver of the Endangered Habitats League says unchecked population growth is changing the natural landscape that we share with other species. "Our issues with population are twofold," he explained. "First, it's the absolute increase in the number of people, which is very severe in places like California, plus the amount of resources and the amount of land that each new person consumes, and that's extremely important in the pattern of development that's occurring." He says in many parts of America, the problem is urban sprawl, as cities expand in vast suburban housing tracts. He says with proper urban planning, more people can live together in a denser environment, preserving their natural surroundings. He worries that not enough planning is being done. So do some population experts, who say cities like Los Angeles suffer strains from immigration, while the country as a whole benefits from it. A generation of Americans born after World War II, the so-called Baby Boomers, is ready to retire, and some population experts say immigrants can keep the economy vibrant. Dowell Myers teaches policy and planning at the University of Southern California. "Because after all, we're growing here the future middle class taxpayers and we're growing the future workers," he said. " When these Baby Boomers want to retire, a lot of the replacements - we estimate about two-thirds - are going to be the children of immigrants." Demographer William Frey says immigrants with young families will help keep the United States competitive. "As we become much more globalized society, globalized economy, where what we produce here, how we produce it here, has to be bought and consumed by people in other parts of the world," he said, "and vice versa, it's paramount that we have people from different cultures helping us make decisions in our workplaces and in our schools." The US population is expected to reach 400 million in 40 years. Population analysts say the country faces challenges, to ensure tomorrow's children have the services they need, from education to health care, that the economy stays healthy, and that we preserve the environment for future generations. They say that will take careful planning.